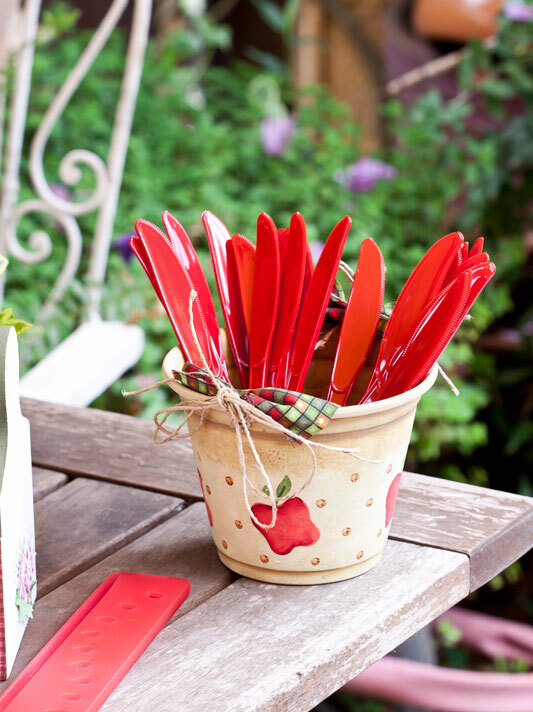 Alternatively, you can use also a flower pot with a ribbon for a garden party. 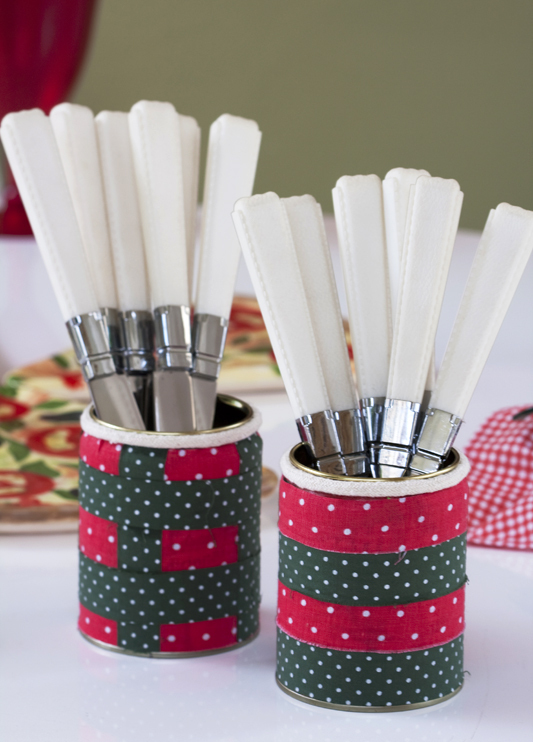 These utensil containers keep cutlery right where it’s needed. 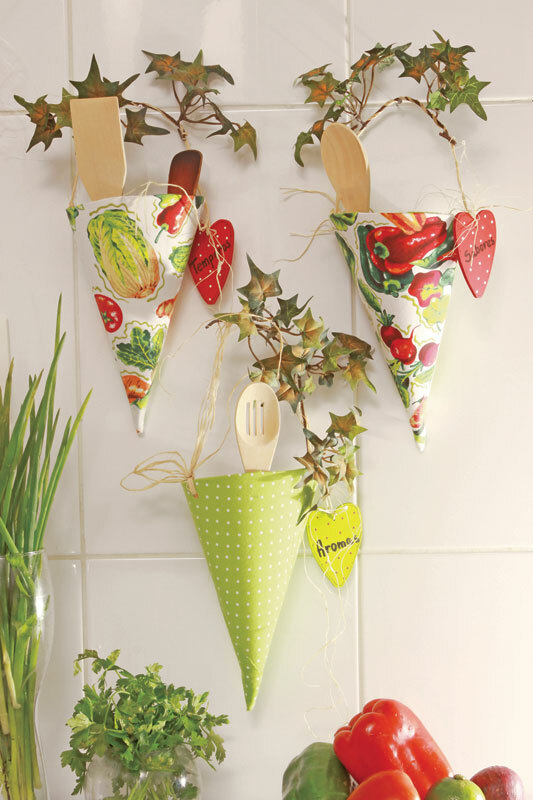 Besides reusing tin cans, this is great idea to decorate the table for Italian themed dinner. 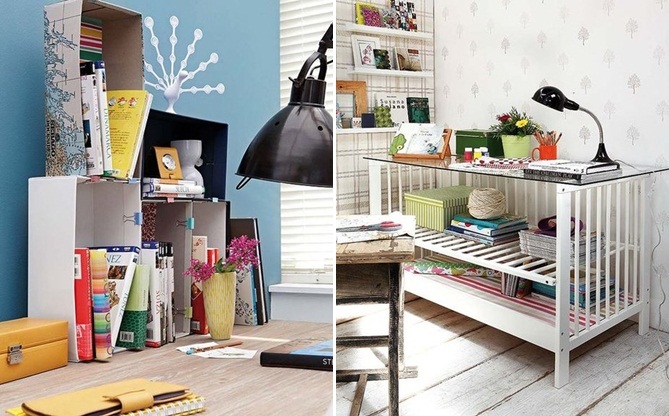 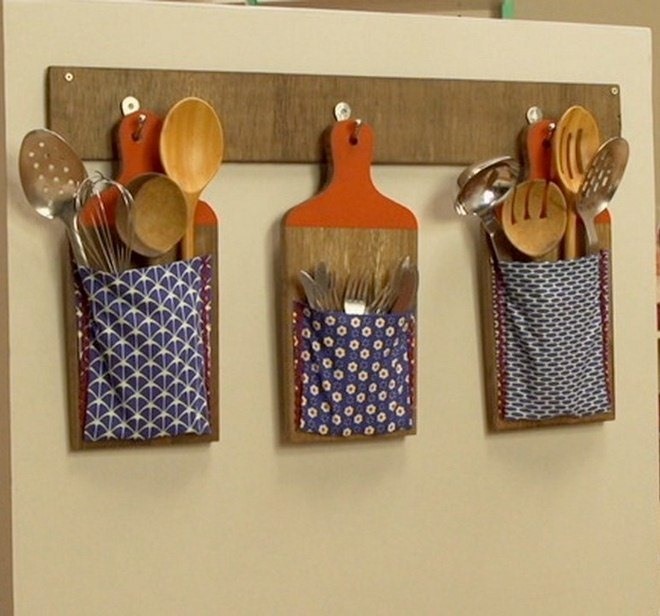 Hanging pockets and wall hooks aren’t the only options for open storage displays. 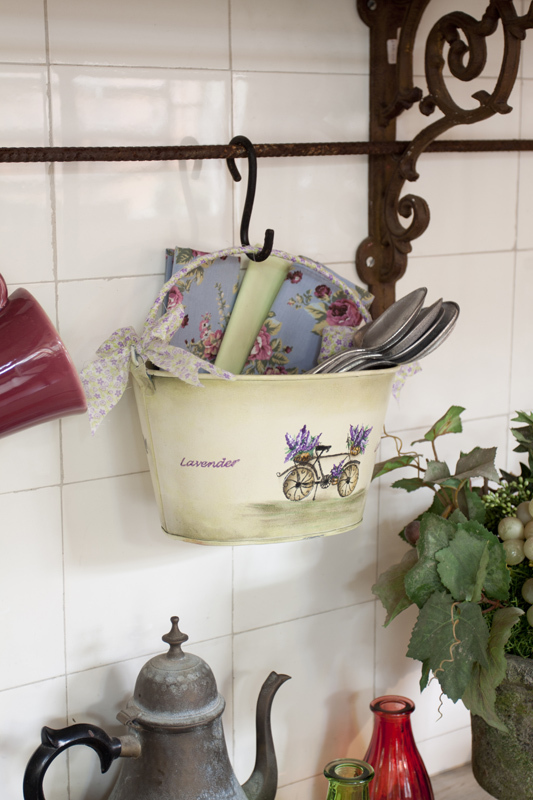 This cute bucket makes room for several spoons and whisks. 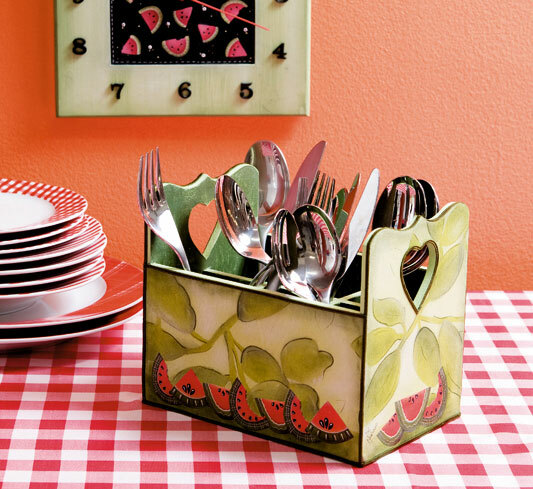 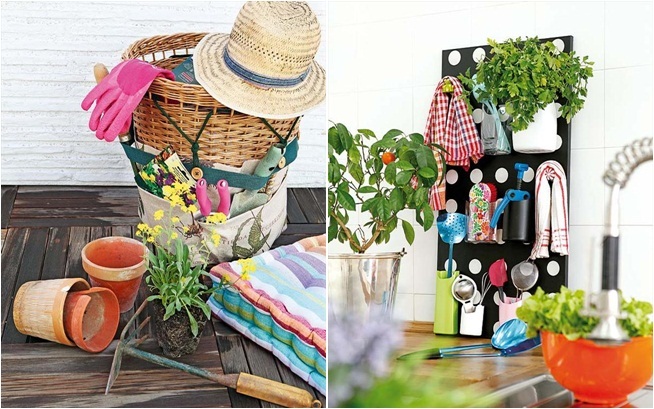 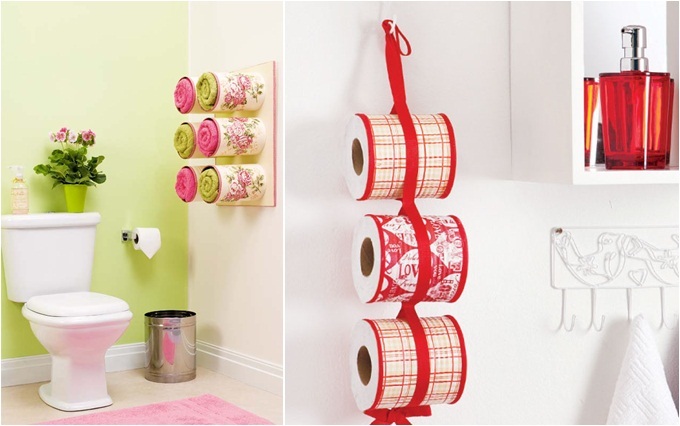 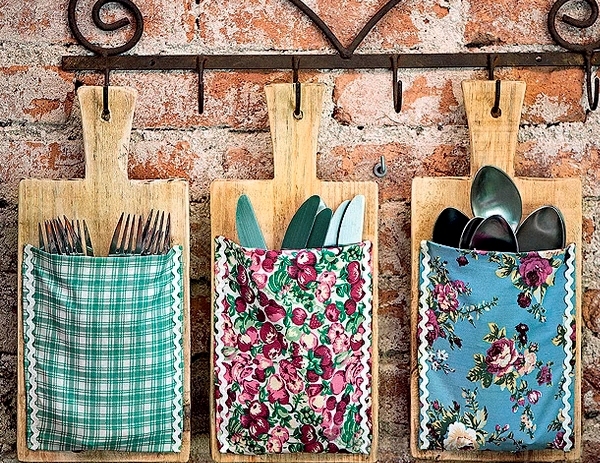 A new and unusual kitchen utensil organizers that also complement the decor. 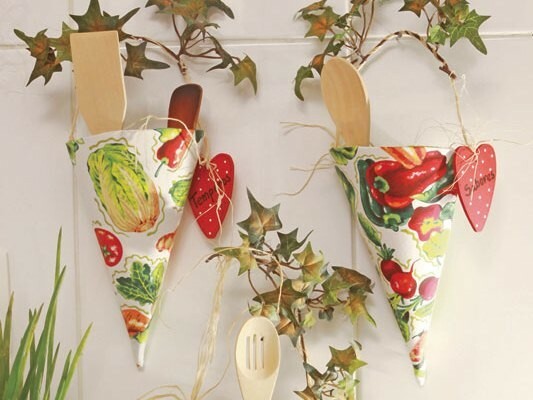 Paper cones, coated with decoupage fabric, made to store the wooden spoons and other kitchen utensils.